In this video, I talk about why “not feeling safe” is a big issue in auto-immune disease. And why you will likely not experience full healing until you address the trauma and wounds in the very cells of your body and release them. I also outline how the body IS the subconscious and offer a roadmap for healing the emotional and spiritual components of illness. AFTER you’ve watched the video, read this article for a fascinating account of what this kind of mind/body healing looks like in action – with a real person. Great video with alot of topics covered in a short amount of time. I am writing as I am in hospital at the moment with a flare and it is being treated with IV steriods which seem to be helping. The lower adomen pain started on tuesday when I tried deadlifting too much weight. I suffered for two days and came into hospital for a scan and have been in since. I am using this time to plan the best natural way to heal as soon as I am let out. I have started the raw milk diet in a fashion as I am still in hospital with limited supplies and have been informed by the producer that they are now feeding their cows the spring silage througout the winter. Will this still have enough nutrients in it to be sufficient when mixed with b vitamins, bananas, vitamin c and coconut oil and probiotics. Also since being administered to hospital my father has decided to help fund some holistic supplements from your shop, do you have a gift option anywhere as currently when the tax and customs duty from the uk border is adding on roughly 30% onto the total after I have received the goods. 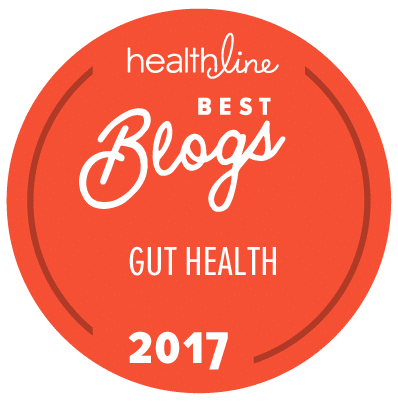 If you have any additional questions you can respond here, e-mail us at service@listentoyourgut.com, call us at 888-866-7745, or visit the live chat in the little blue tab on the bottom right side of the screen. Thank you Jini for making direct link of trauma to autoimmune. After 28 years of being on spiritual path, I finally realized I have to deal with developmental trauma to heal asthmas and the angst of not feeling safe with the body, Later in life when my mother was dying, the stress of supporting my mother created some gut issues which flare up when I feel stressed. So I know that direct link between body & emotion/mind. I’ve seen the “best” in alternative healing – naturopaths, homeopaths, acupuncture, Ayurveda etc. I was just thinking today that the piece I need for my healing is this feeling safe piece that you speak of. In the last 6 months in dealing with early trauma, besides cranial sacral, I”m also doing Somatic Experiencing therapy, body centered work developed by Dr. Peter Levine. I’ve also found interesting the work of Dr. Bessel van der Kolk (www.traumacenter.org) & Dr. Robert Scaer, author of The Body Bears the Burden in which he locates dis-eases in different parts of the nervous system. Asthmas for example is controlled in dorsal vagus in the upper medulla. Thank you for your message! Would you include gluten intolerance or celiac disease as a not feeling safe response? The amazing thing about food allergies is that even severe allergies have been completely cleared using EFT (emotional freedom techniques) and homeopathic treatment. However, I also know that wheat growers have really screwed with wheat here in North America to artificially raise gluten levels, etc. Many people who cannot touch gluten here can eat bread and pasta in Europe with no issues whatsoever. So… I think each person would have to do their own work, identify root issues, and listen to their own body wisdom. Thank you for this very concise and informative video. As always, you keep us informed on what’s happening in the world of health, in mind, in body and in spirit. I appreciate your constant searching! Absorb Plus helped me get off medication several years ago for ulcerative colitis. I’m so glad I found you! I have been reading lots of info on the body and truama by Ruth M. Buczynski, PhD New ways of dealing with trauma developed over the last year that you may like to check out. I have just watched your video and omg what a can of worms you have brought to my attention. I am going to make time to delve into these emotional components as by and large i am able to control my Crohns symptoms with your help over the past 10 years. Thank you Babe and Karen! Mary – is there a particular article or video by Ruth Buczynski you can point us to? Mary – I’d also like to know if you have a specific video or article with information from Ruth Buczinski. I think it would be a great resource for even more healing, in addition to Jini’s video! Wonderful information! I think a lot of people forget that, to achieve true, deep – and ultimately, permanent – healing, you have to take a multifaceted approach. Addressing not only the physical, but also the mental, emotional, and spiritual sides of healing is crucial. I was wondering about making the basic elemental shakes and if you should be adding in C0Q10, Pycnogenol and Bioflavonoids like you do when you are taking absorb plus. I have not started the protocol yet as I am still gathering information and products so I do things right. I would love to purchase your book. I have Crohns, Psoriatic Arthritis and a host of other auto immune issues. I’m trying to work on the emotional side if this as well with Reiki. How do I connect with you? Thanks so much for any help! 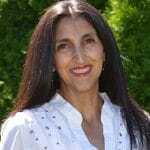 Jini highly recommends EFT as a great emotional healing tool, and you can search it on the blog and webpage for great sources and information she has on it.